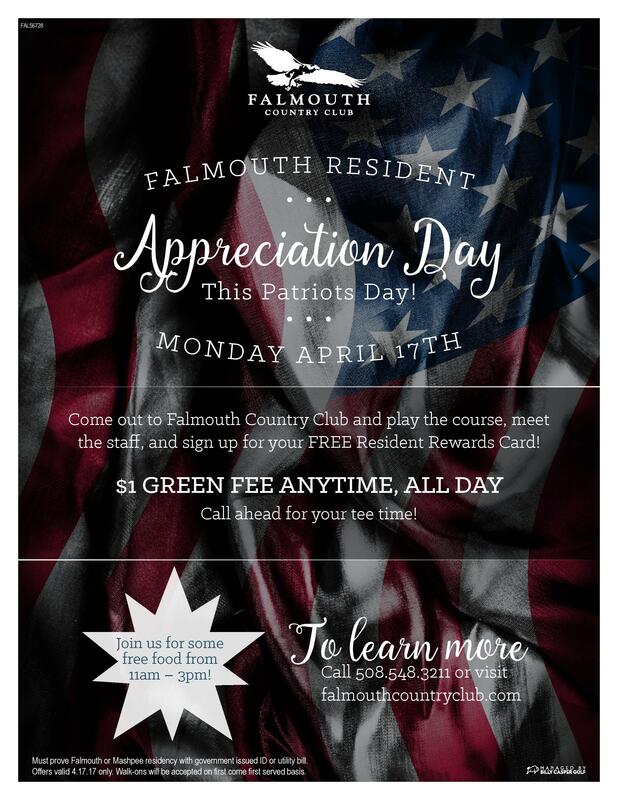 Resident Appreciation Day is Monday, April 17th - Patriot's Day! Come and Play at Falmouth Country Club for $1! !